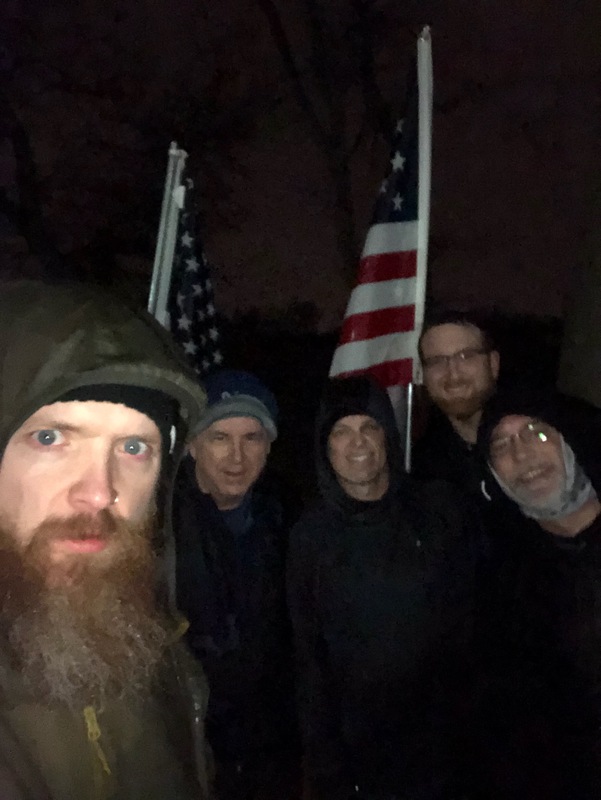 Finishing the year on a high note: The Pax of F3 Dayton continuing to work at being better men. Mosey around the parking lot perimeter. The Little Buddy Workout – From Wilson’s truck, Pax got to choose their Little Buddy to work out with – a rock or block from 14 to 20 pounds. We would then do a Tabata workout, 20 seconds of exercise followed by 10 seconds of rest, 8 rounds, 4 minutes. Movin’ Merkins – An off-set merkin with one hand on the Little Buddy, (LB) one hand off, complete one merkin. Then move the off hand onto the LB, and the other hand now move off. Rinse/repeat through the Tabata time table. Overhead Big Boy Situps with LB assist – Lie down flat on back, hold LB overhead and sit up, continuing to keep LB overhead. Lay back down. Rinse/repeat through the Tabata time table. Diamond Merkins – Keep both hands on LB while executing Merkins. LBCs with LB – Give LB a bear hug while performing LBCs. We finished with a dealer’s choice: Each Pax got to choose the exercise for that 20 second interval, working around the circle. Being holiday, we were able to spend time together for coffee at Tim Horton’s. A fabulous end to the year. Having moved to the Dayton area 18 months ago, this time last year I knew only three guys. Two of them were managers from work. I’ve had coffee/pizza/donuts/picnic/yada with over 20 guys since April. And looking toward meeting new workout buddies.